Call it an avocado kick. But, lately I’ve been pretty obsessed with them (but you already know this). Packed full of nutrients and healthy fats, they’re a staple of many healthy diets. So, I decided to try something new again. It’s been gorgeous outside here. After a crazy long, cold winter, we’ve been putting the grill to good use and spending our evenings outside. It’s a glorious thing! So, I decided to combine my newly found love of avocados with the grill. The result was amazing and about as easy as it gets! Seriously…Amazing. Peel, pit and halve the avocado. combine the olive oil and lime juice, spread over the surface area of each half. Sprinkle salt all over the surface of each half. Pop each piece on the grill face down for approximately 5 minutes on high. I waited until I saw grill marks. 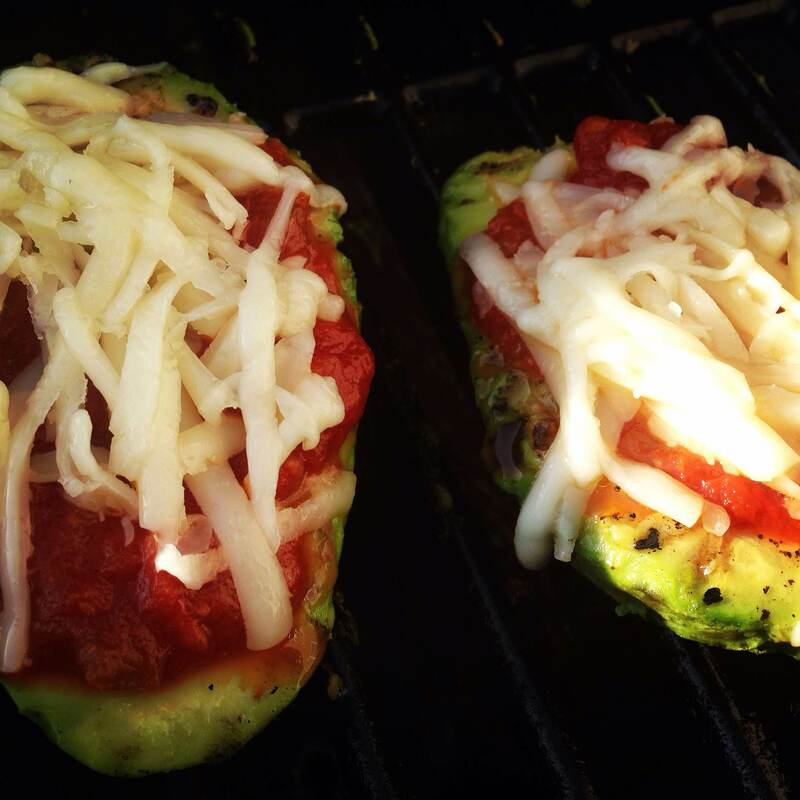 Flip the pieces of avocado, fill each hole with salsa and top with cheese. Close the grill cover and grill for another 5 minutes (approximately). Enjoy hot off the grill! Suggested serving: could sprinkle tortilla chips over the top for crunch, but not necessary!